Ragus have supplied specialist brewing sugar ingredients for Joseph Holt quality beers for many years. 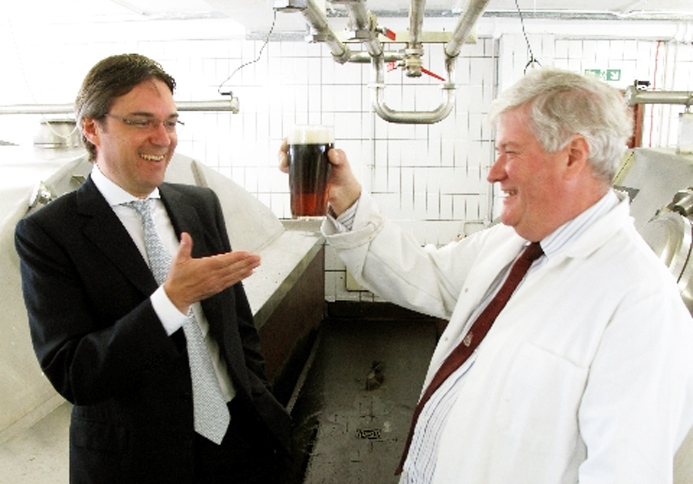 Head Brewer Keith Sheard and I inspect another fine pint at the renowned Manchester brewery. James Eastick & Keith Sheard sample latest brew.